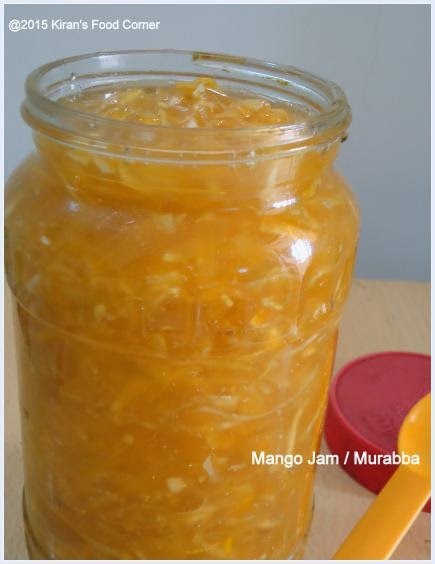 Mango Jam also known as Murabba / chundda. 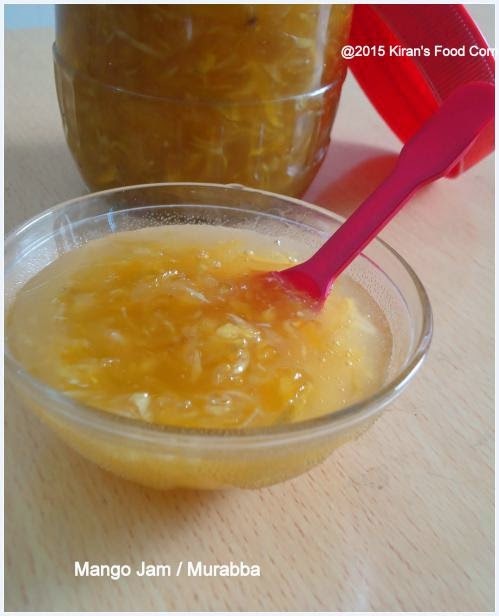 I learnt this recipe from my Mom.It's a favorite pickle in all age group specially in Kids. Wash the mangoes and dry them. Peel mangoes and then grate. .Cook on low flame and stir continuously until the sugar has dissolved completely. You can see bubbles frothing up on the surface, but continue stirring until the sugar syrup reaches the single string consistency. Turn off Stove and let it cool completely. 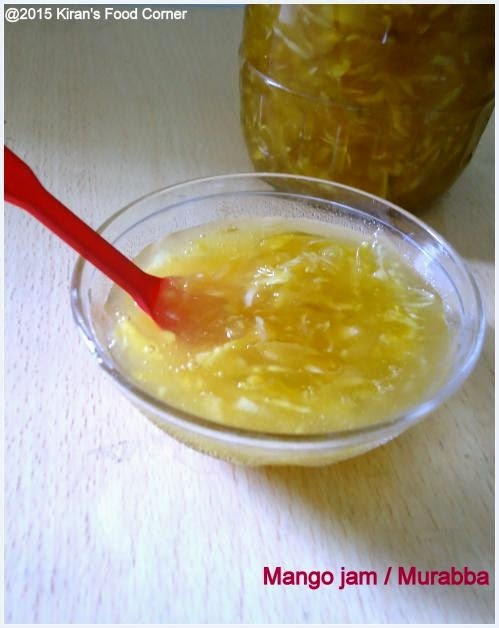 Mean while stir it to prevent the sugar from crystallizing. Now fill in airtight container. Enjoy with thepla, paratha, or chapati. 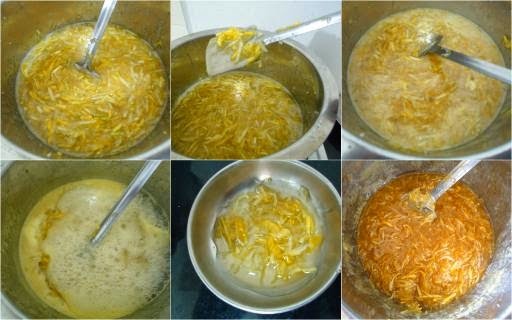 Mix Sugar and Grated Mango and Place this mixture in the steel vessel. Cover the vessel with muslin cloth and tie it with a thick thread. Keep it under sunlight for about 10-15 days or until mixture get proper consistency. stirring it twice a day (morning and evening). 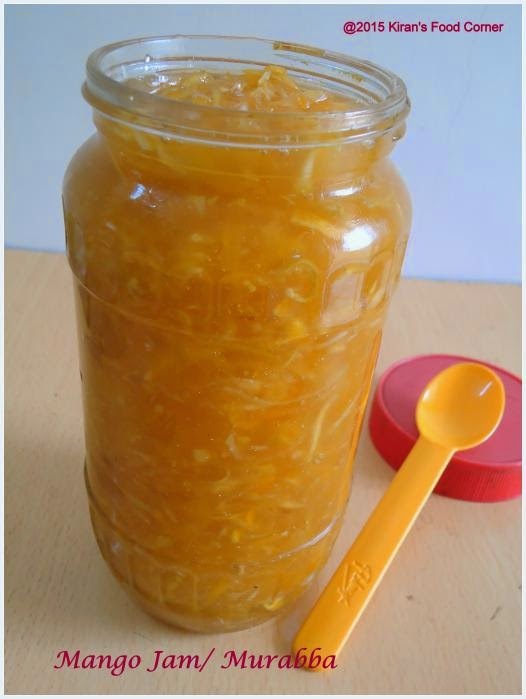 Always use raw mango.always use clean spoon for jam . 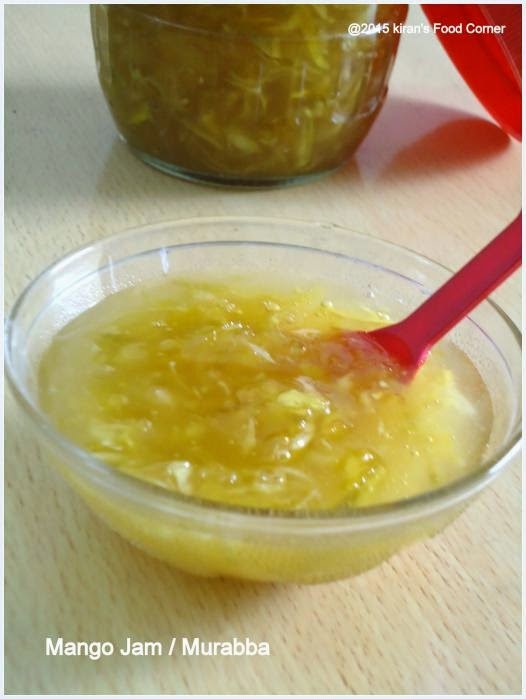 This jam can be stored for a year . Thanks Praba . yes you can use brown sugar. 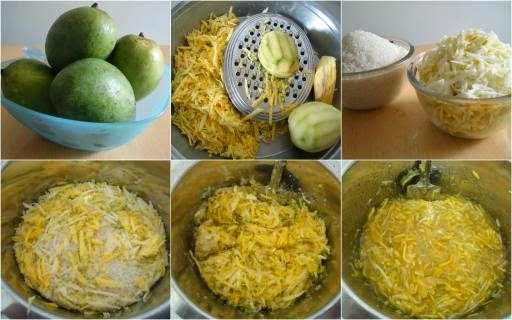 If you will use half mangoes , it wont stay for a year ,so use raw mangoes and enjoy full year.